MAGNUMS will host one of the best reggae acts on the music scene on Thursday night, when Katchafire heats up Airlie Beach. 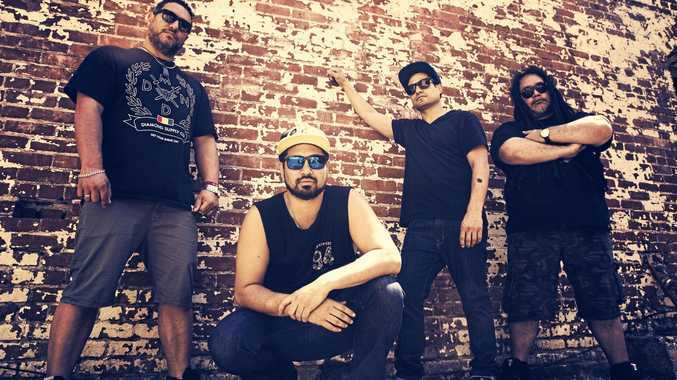 Hailing from the mighty H-Town (Hamilton), Aoteoroa (New Zealand), Katchafire have become a global roots reggae phenomenon. The all Maori reggae band, bring their pure classic sound to music lovers worldwide, delivering one of the most authentic reggae shows around today. Boasting four highly successful studio albums, multiple awards, platinum sales and highest selling singles, Katchafire's sound is built on the foundations of classic roots reggae with an R'n'B and funk rub, mashing modern dancehall and slinky reggae pop. Touring Australia in September and October on their Legacy tour Katchafire is celebrating 20 years of the Fire. The tour is currently under way and has seen them complete a six-week tour of the USA earlier this year and sold-out shows across New Zealand in May and June. Katchafire are an eight-piece collective of multi-talented songwriters and musicians who have become a staple on the Californian and Pacific roots scenes. The fire continues to get hotter following invitations to acclaimed events such as Glastonbury, opening circuits through Europe, Portugal and Brazil as demand continues to grow for the non-stop feel-good vibe of their incredible live performances. On tour with the Fire boys is Oz are some very special guests including The Sea Gypsies from the Central Coast, DJ Tickelz and DJ Red. Tickets on sale now through Oxtix.